Storage space required is also kept to a minimum with a 10 metre length being compressed to 1160mm. Temperature Range – From – 30°C to 120°C. 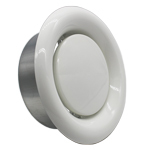 Outer Jacket - Scuff resistant reinforced Aluminium laminate fabric. 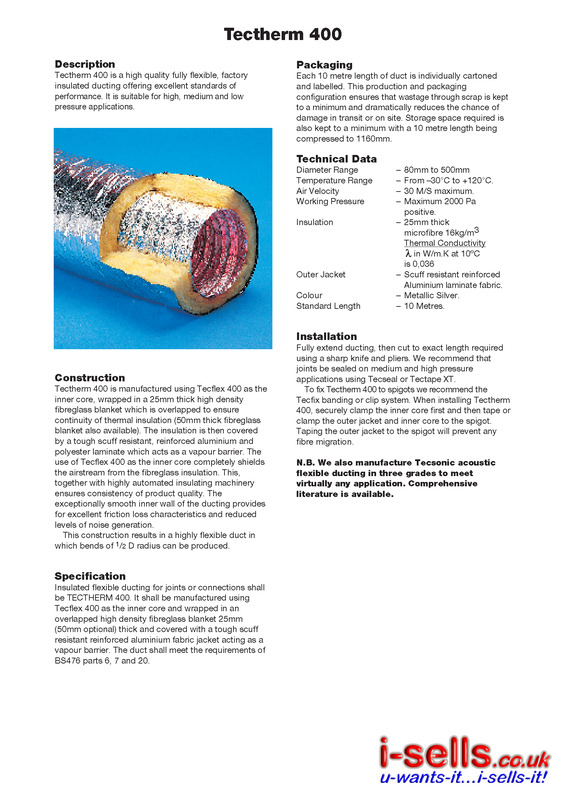 Tectherm 400 is a high quality fully flexible, factory insulated ducting offering excellent standards of performance. 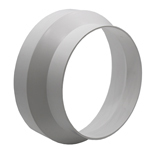 It is suitable for high, medium and low pressure applications. Tectherm 400 is manufactured using Tecflex 400 as the inner core, wrapped in a 25mm thick high density fibreglass blanket which is overlapped to ensure continuity of thermal insulation (50mm thick fibreglass blanket also available). The insulation is then covered by a tough scuff resistant, reinforced aluminium and polyester laminate which acts as a vapour barrier. The use of Tecflex 400 as the inner core completely shields the airstream from the fibreglass insulation. This, together with highly automated insulating machinery ensures consistency of product quality. 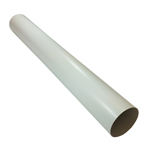 The exceptionally smooth inner wall of the ducting provides for excellent friction loss characteristics and reduced levels of noise generation. 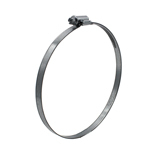 This construction results in a highly flexible duct in which bends of 1/2 D radius can be produced. 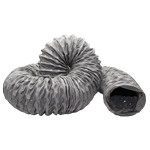 Insulated flexible ducting for joints or connections shall be TECTHERM 400. It shall be manufactured using Tecflex 400 as the inner core and wrapped in an overlapped high density fibreglass blanket 25mm (50mm optional) thick and covered with a tough scuff resistant reinforced aluminium fabric jacket acting as a vapour barrier. 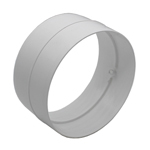 The duct shall meet the requirements of BS476 parts 6, 7 and 20. Each 10 metre length of duct is individually cartoned and labelled. This production and packaging configuration ensures that wastage through scrap is kept to a minimum and dramatically reduces the chance of damage in transit or on site. 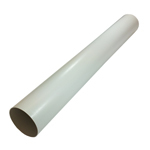 Storage space required is also kept to a minimum with a 10 metre length being compressed to 1160mm. Temperature Range – From –30°C to +120°C. Air Velocity – 30 M/S maximum. Working Pressure – Maximum 2000 Pa positive. Outer Jacket – Scuff resistant reinforced Aluminium laminate fabric. Standard Length – 10 Metres. Fully extend ducting, then cut to exact length required using a sharp knife and pliers. We recommend that joints be sealed on medium and high pressure applications using Tecseal or Tectape XT. To fix Tectherm 400 to spigots we recommend the Tecfix banding or clip system. When installing Tectherm 400, securely clamp the inner core first and then tape or clamp the outer jacket and inner core to the spigot. Taping the outer jacket to the spigot will prevent any fibre migration. N.B. 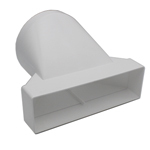 We also supply Tecsonic acoustic flexible ducting in three grades to meet virtually any application. Comprehensive literature is available. Pressure drop in flexible duct varies significantly from the data given below if the duct is not fully extended when installed. 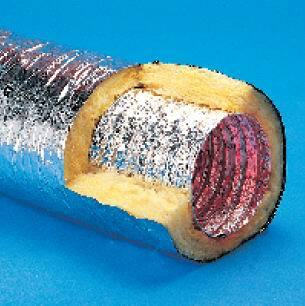 Typically a duct which is 90% extended can result in an increased pressure drop of up to 80%. A duct which is 75% extended could result in a pressure drop variance of as much as 200%. 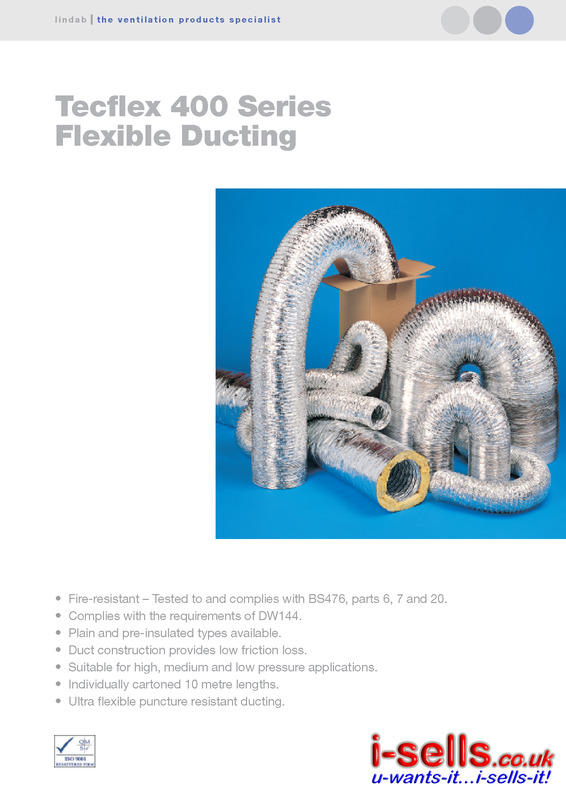 This information applies to all types of flexible duct and illustrates the importance of careful installation. 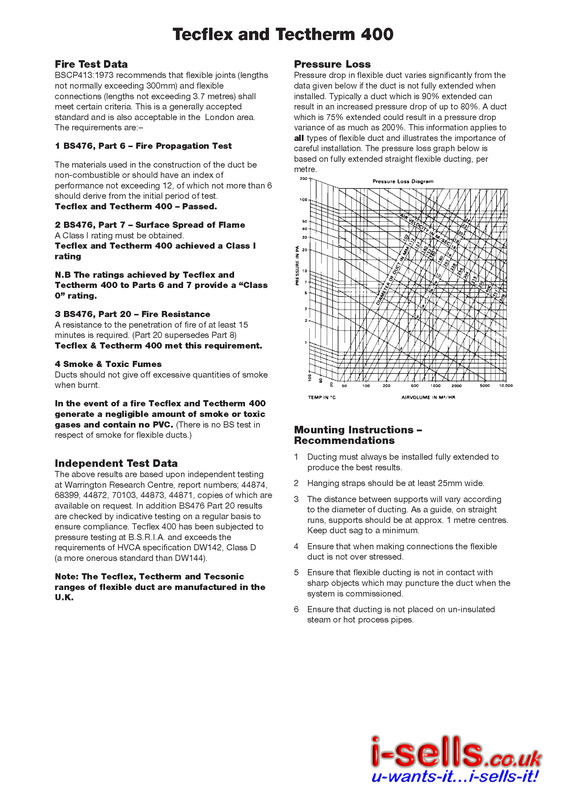 The pressure loss graph below is based on fully extended straight flexible ducting, per metre. 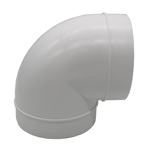 1 Ducting must always be installed fully extended to produce the best results. 2 Hanging straps should be at least 25mm wide. 3 The distance between supports will vary according to the diameter of ducting. As a guide, on straight runs, supports should be at approx. 1 metre centres. Keep duct sag to a minimum. 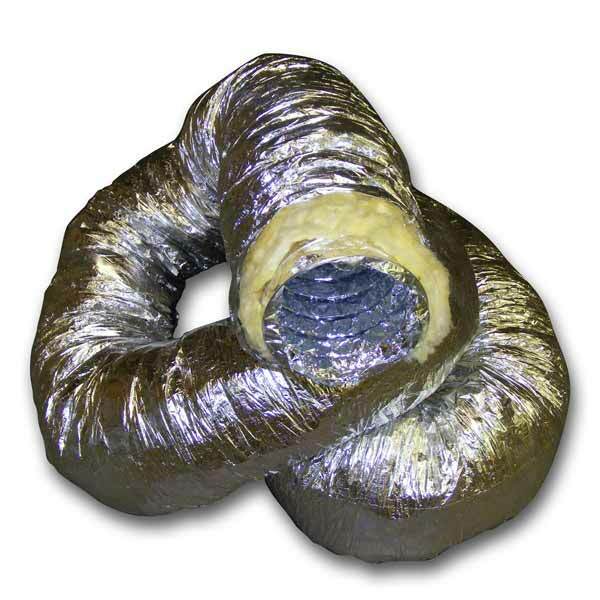 4 Ensure that when making connections the flexible duct is not over stressed. 5 Ensure that flexible ducting is not in contact with sharp objects which may puncture the duct when the system is commissioned. 6 Ensure that ducting is not placed on un-insulated steam or hot process pipes. Thank you for your question. The temperate rating would need to be known but the Insulated hose will not be any good for your application. 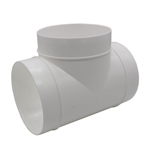 We do Semi Rigid Ducting the temperate rating on this item is -30degree c - 250 degree c and the stainless steel flue pipe temperature is not exceeding 550 degree c.